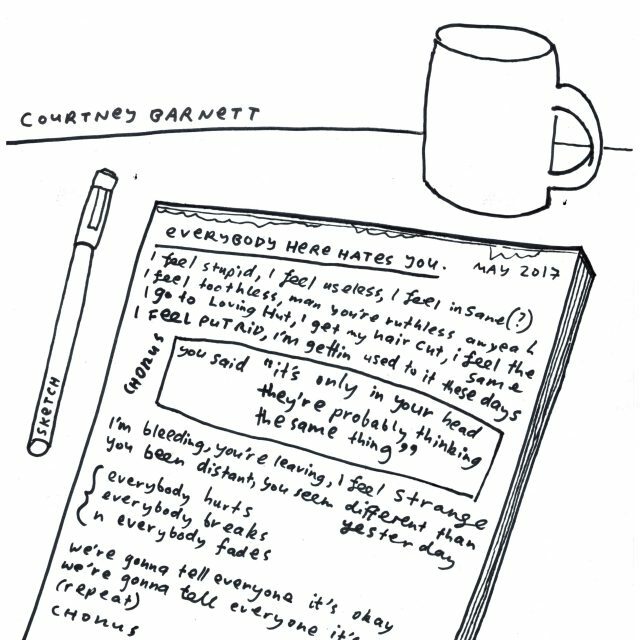 Courtney Barnett stopped by the Australian radio station TripleJ today to premiere her new song, “Everybody Here Hates You.” It follows the Australian rocker’s last album Tell Me How You Really Feel, and a standalone single called “Small Talk,” both of which came out last year. According to TripleJ DJ Richard Kingsmill, her single comes out this Tuesday. On Record Store Day, 4/13, she will release it as a 7-inch with “Small Talk” as the B-Side via Rough Trade. Listen to “Everybody Here Hates You” here at the 21:15 mark. UPDATE: “Everybody Here Hates You” is on YouTube now, so listen below.